There are no comments for Hat Factory. Click here to post the first comment. 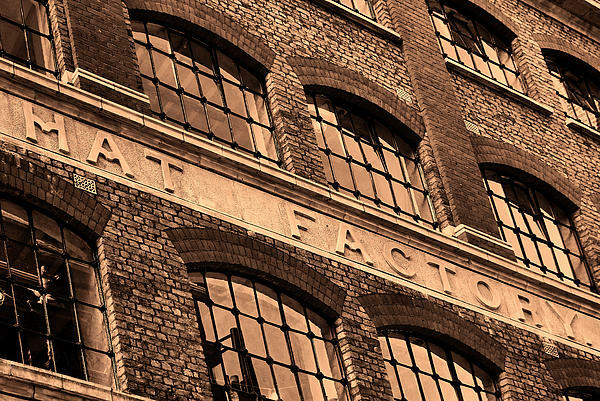 Henry Heath�s Hat Factory building. Image of the back of the building in Soho, the front is on Oxford Street, London. 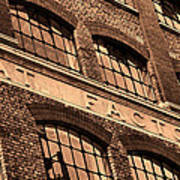 The Hat Factory was founded in the reign of King George the Fourth (1820-1830). Employing up to 70 people, the establisment was known for the fine silk plush top hats which were men�s high fashion and the discerning buyers allegedly include King Edward VII, King George V, The Royal Court of Spain. Henry Heath�s hats could not be bought through any Co-operative stores, the sales were direct and in cash prices. Henry Heath died in 1877 and his children took over the family business. 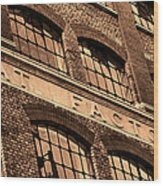 There are still adverts for the hats in 1931 but I could not find exact date of the factory closure. It seems a number of Mr Heath�s hats are still is existence and in �as new� condition. 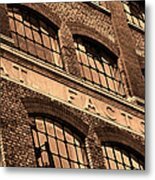 Lately the Hat Factory building was occupied by Film post production services and is currently converted into residential apartments. Image converted to B&W and toned.